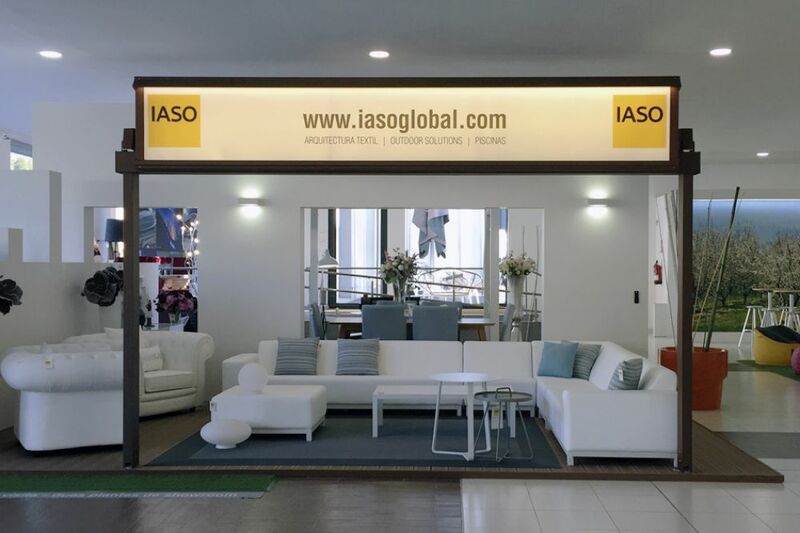 IASO has developed a new pergola model with a mobile coverage system. Nian is a breakthrough design, further enhancing protective and aesthetic features. With a more refined aesthetic. A design that integrates into any architectural context thanks to the option of levelling out its guides on the front crossbar, so they do not protrude outside. This enables gaining more ground and habitable space in the case of having specific extension capabilities. The Nian pergola covers up to 120 m² and its aluminium structure can withstand winds up to 12 degrees on the Beaufort scale. This model is able to withstand the various meteorological inclemencies, and thanks to its waterproofed channel, with an inner sheath of fabric, it prevents water from seeping inside during rainy days. Nian is the solution for all types of projects, individual or collective housing, hotels or restaurants. One of the benefits offered by this model for the Contract sector is the placement of an illuminated sign above the front crossbar, with a fully customized logo, to enhance corporate identity. The features offered by the Nian pergola meet the needs of users with its motorization, lighting control via a mobile app, double roof, ceiling and perimeter lighting, audio, heating, side walls, partitions, etc. In addition it is designed to house the Clausa curtain on the sides and especially in the front, where the roll-up area is perfectly integrated into the front crossbar without losing headroom. Thanks to the design and sizing of the cavity of the front crossbar we can also integrate a motorized glass partition that can be adjusted in three different final positions. Nian is the ideal solution for terraces and gardens due to its exceptional and highly advanced features.